We haven’t posted on here for a bit but a few exciting things have happened while we’ve been away! We made it to the last six of the Green Man Rising competition which meant we had to travel down to London to play the final at Dublin Castle. The whole experience was amazing and although we didn’t win, it was revealed on the night that all six finalists will be playing the festival! 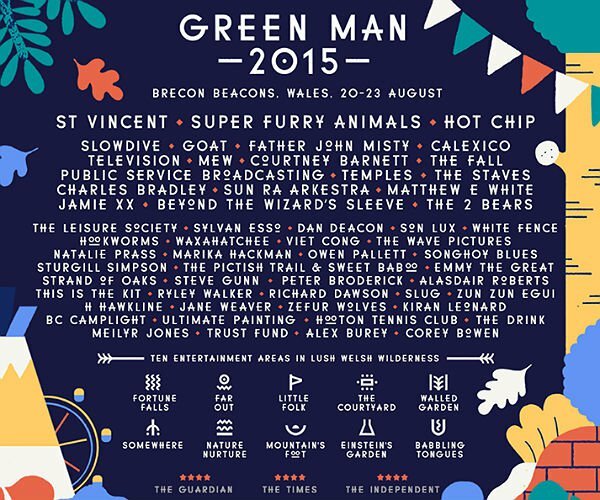 The Green Man Festival is one of our favourite events so to say we are excited is an understatement. Thanks to all the bloggers, judges, organisers and press who were involved in this years competition, we can’t wait to play. If you’re one of the lucky ones who got a ticket (the festival is now sold out), we’ll see you there!